Academia meets the business world. Our show will highlight business and academic thought leaders each week to get research off the coffee table and out of the academic Ivory Tower into the business hands that can benefit from research results.. 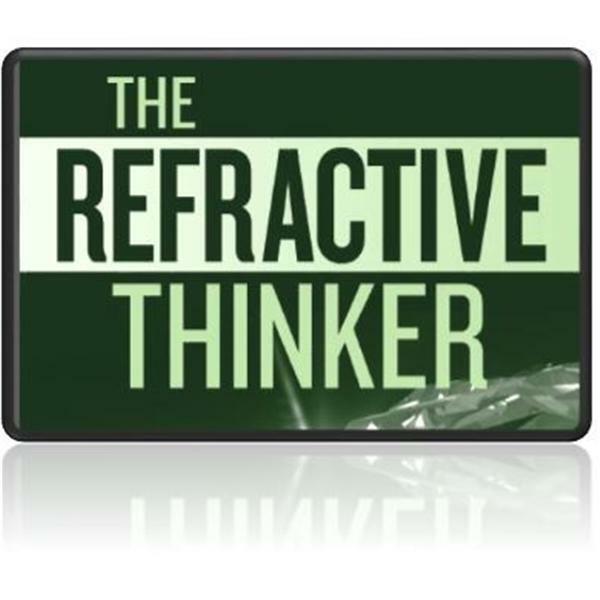 Welcome to The Refractive® Thinker Radio Show, hosted by the award winning and international best selling author, Dr. Cheryl Lentz, The Academic Entrepreneur. Join us each week for 30 m inutes of thought provoking radio, designed to discuss emerging topics in higher education and business. Meet Dr. Joseph Gioia and Dr. Temeaka Gray, co authors of Volume VIII of The Refractive Thinker® : Effective Business Practices for Motivation and Communication: Chapter 5: Motivation: Addressing Job-Related Stress and Ensuring Effective Communication as Best HRM Practices. Remember, if thinking is inside the box, and critical thinking is outside the box, refractive thinkers explore what lies beyond the box. Our goal as doctoral scholars is to get research off the coffee table and into the hands of business people who can benefit from the results. Thank you for joining us each week! Additional details may be found at www.RefractiveThinker.com. There is an error in the program. Stand by. The Refractive Thinker: The importance of the anchor strategy . . . The Refractive Thinker®: Do you live in a Golden Palace? The Refractive Thinker®: Leadership Paradox: Pink for Girls and Blue for Boys?